Free Shipping on all of our photo paper prints! 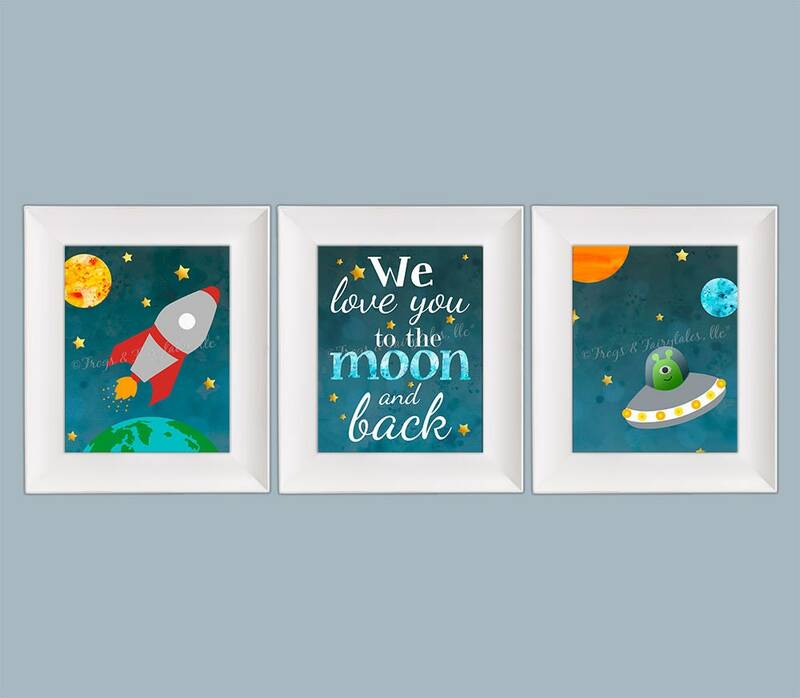 This Outer Space set is perfect for any child who loves outer space or wants to be an astronaut! 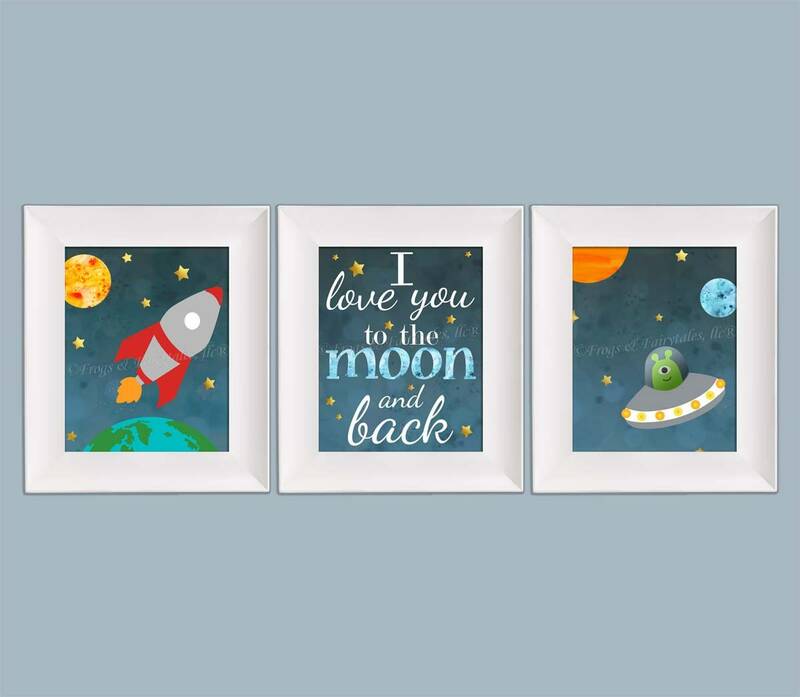 This set includes 3 prints in the size you select from the drop down menu; a rocket ship and an alien print, both with planets and gold stars and an "I love you to the moon and back" or "We love you to the moon and back" print with gold stars, your choice using the drop down menu. If you would like to have them printed in custom colors, please message me before ordering, as there will be a custom listing charge of $20 added to the size you select. Watermarks will not appear on your prints. Frames not included.